Finally, Spring has arrived which means longer brighter and warmer days are on the way! It has felt like a long time coming, and now we can all take advantage of more time outdoors, fewer layers of clothing, and more fun in the sun. Without a doubt, the most-like spring event of all is the Cherry Blossom watch. This peculiar Japanese flower known as “Sakura” has become very popular and attracted many people over the past few years because of its beautiful white colour. These trees typically bloom in late April to early May, so you will have to be on it, since Cherry tree blossom don’t last more than two weeks. The best places to go to watch these Cherry Blossom in Canada are High Park in Toronto and Stanley Park in Vancouver. Tulips are spring-blooming flowers and one of the main things to do in spring-time is to visit a tulip field. 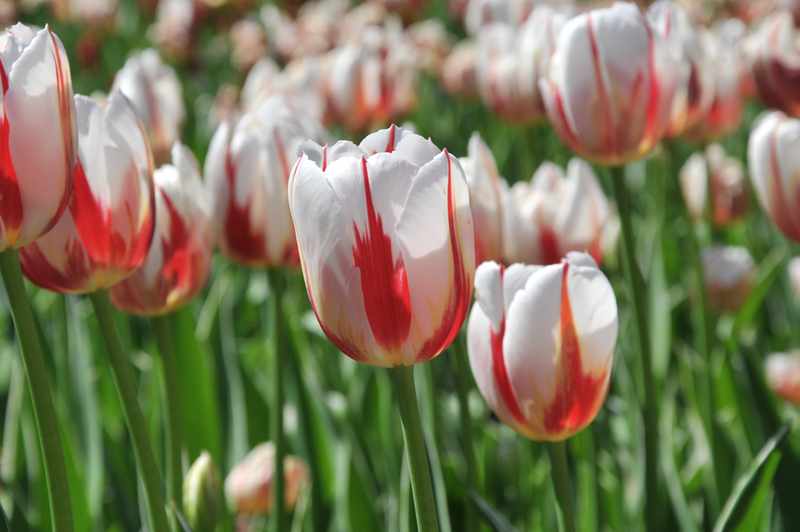 Ottawa hosts the largest Tulip Festival in the world and this year since we are celebrating Canada’s 150th anniversary, it’s going to be a special event. The Dutch have developed a new tulip to help Canadians celebrate our 150th anniversary. The tulip is called: Canada 150. During spring, seasonal produce markets arise and you can find a diversity of fresh fruits and vegetables. Change your routine, instead of buying from your regular grocery store, go to the farmer’s markets instead. You can talk directly with the farmers, discover new fruits and taste different vegetables and of course fresh seasonal maple syrup! Canada is giving away a “Discovery pass” to celebrate its 150th anniversary, so that you can enter all provincial parks for free. This is the perfect season for camping, the weather is perfect and everything is blooming. Choose your favourite park and have a great time camping with your friends and family. Get the most out of spring and try new things like visiting a new city. The views of many places change dramatically from season to season with leaves and flowers blooming and patio furniture making its arrival for the season. Visit Victoria or Quebec City, these two places are so lovely during the spring season. You can attend festivals or do sightseeing within the city. Yes, you read right! Each year a massive pillow fight happens in Toronto at the Nathan Phillip Square. This year the Pillow Fight themed “Superheroes versus Villains” will take place on April 5th. So, take your Superman or Darth Vader customer and prepare your best pillow to fight. Quiz: What TruBlue Backpack is best for you based on your daily activities? Backpacks are the most convenient and comfortable way to carry all your valuables whether you are going to school, work, gym, or travelling somewhere new. If you are not sure which backpack get, take this fun quiz to find out what is the best backpack for you based on your daily activities. To celebrate the growth of an adventurous community, a new initiative was born where members of the TruBlue Tribe share all the incredible adventures they’ve had from their favourite travels and recommend places to visits, where to stay, what to explore and best dishes to try. Get back to school with a TruBlue backpack. Summer has been amazing this year, we are enjoying the best weather ever, sunny days to go to the beach, long walks in the park and barbeques with friends. But that time is coming, and we need to start preparing for back to school, which is exciting as well.